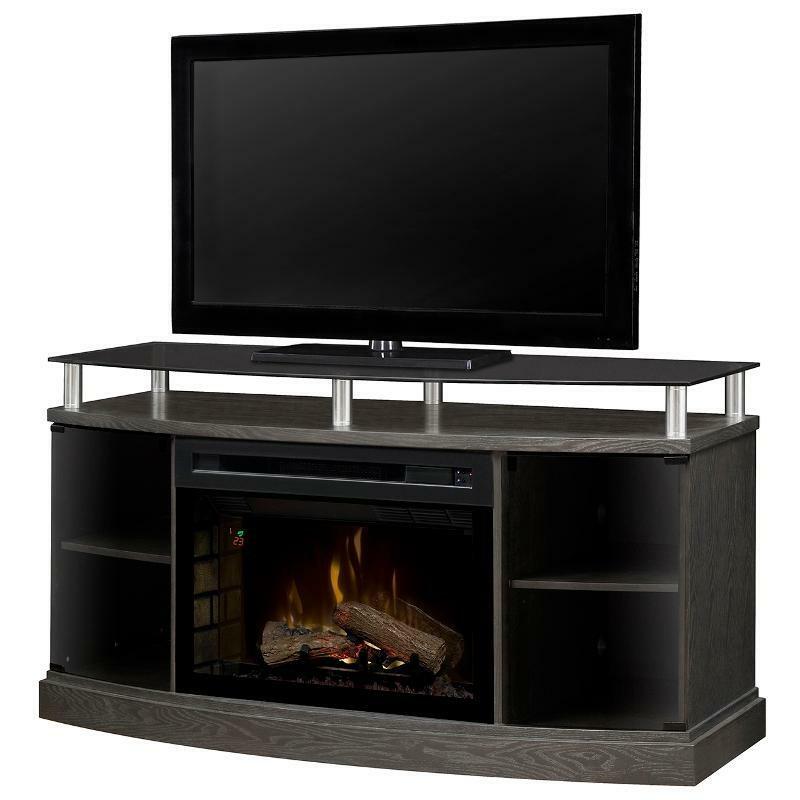 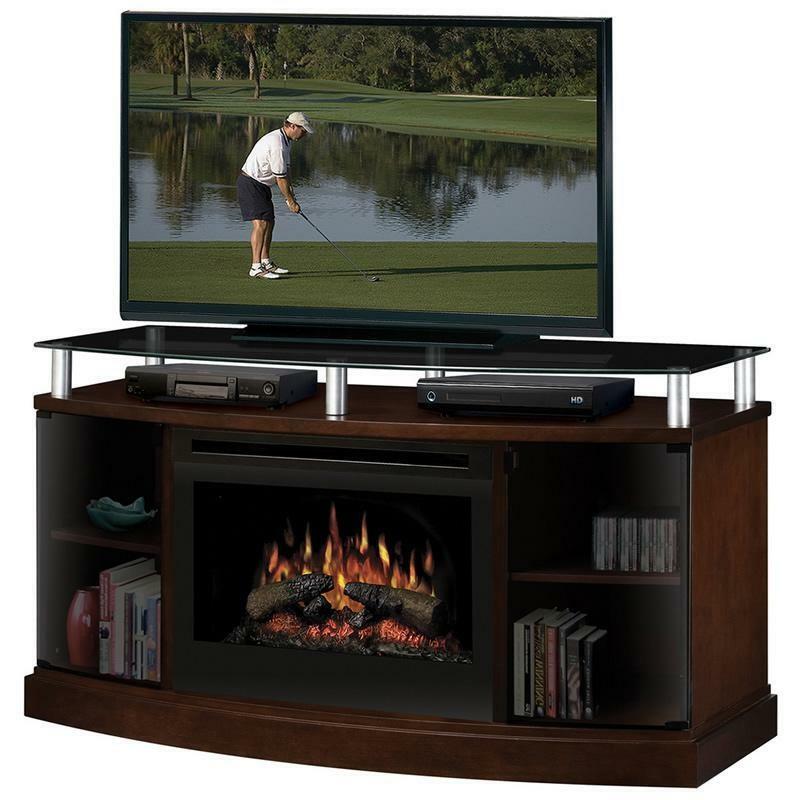 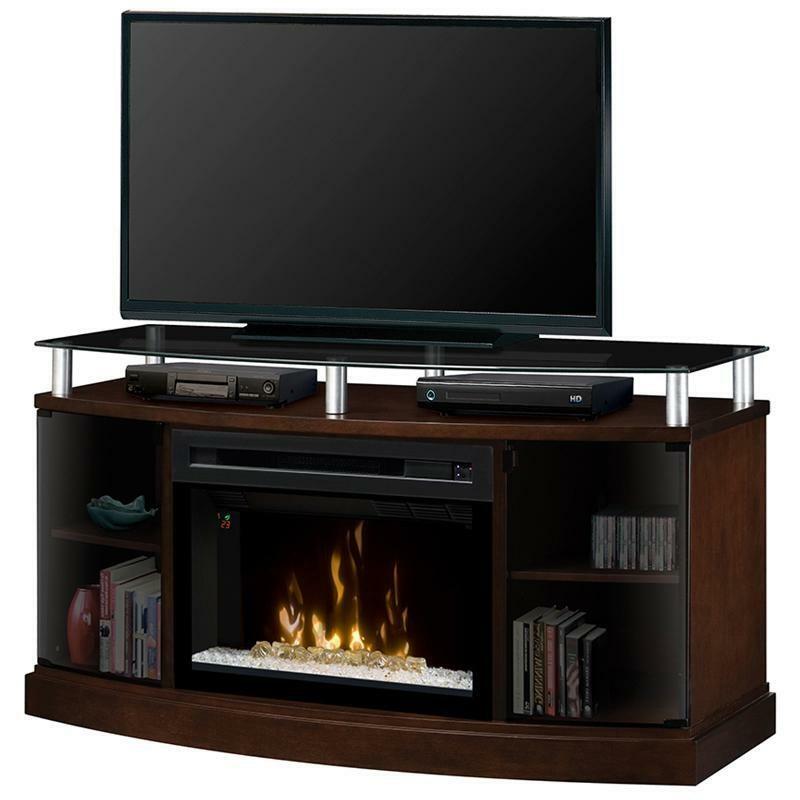 The Windham Media Console from Dimplex is elevated above a bowed cabinet. 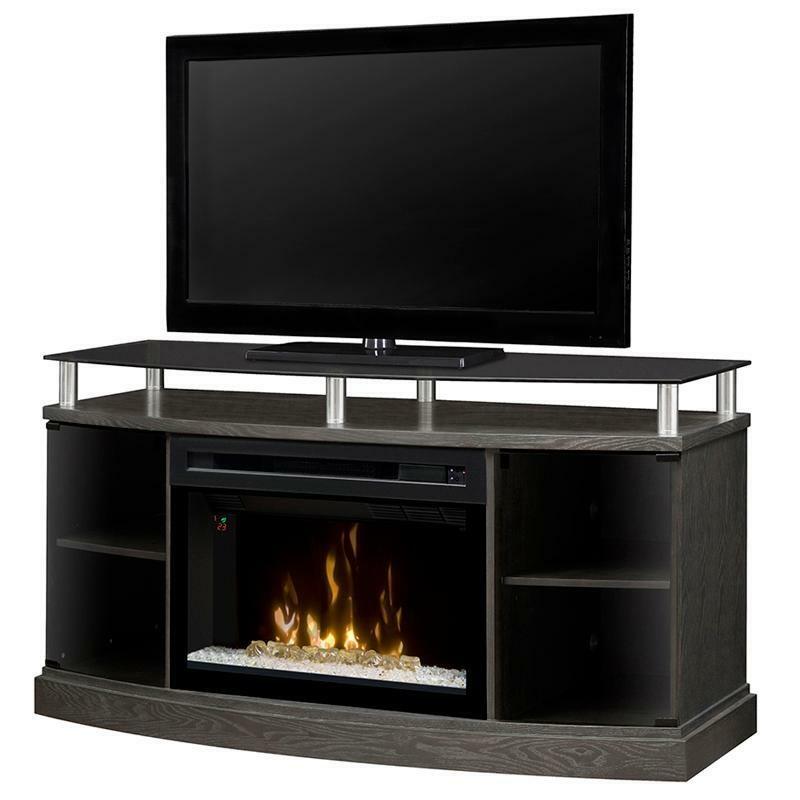 The sturdy, smoked-glass top creates a sleek display space for a flat panel TV up to 55" wide. 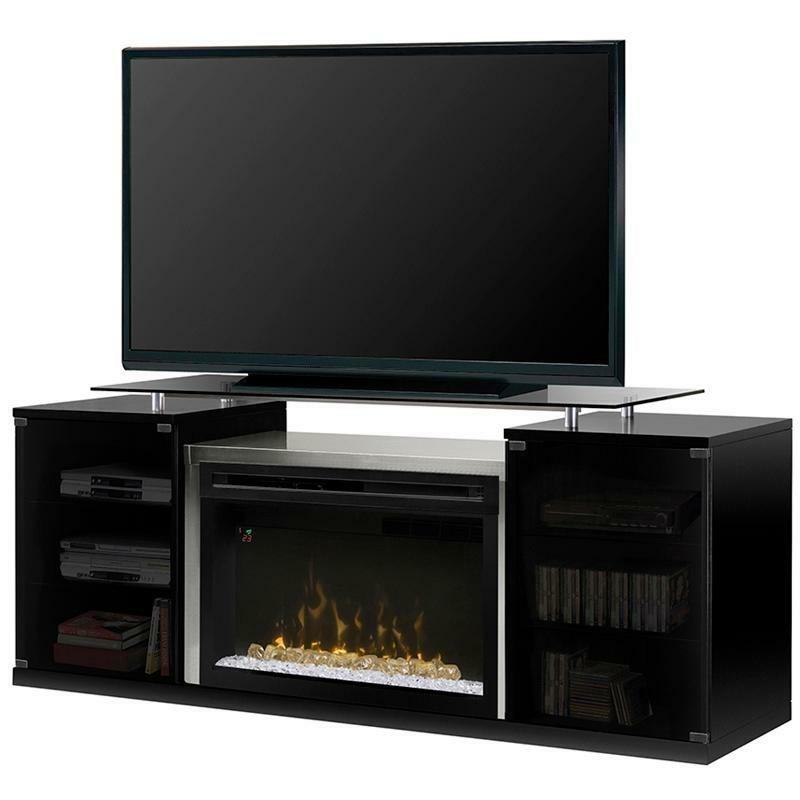 A rich mocha cabinet with smoked-glass doors, provides ample room for storing equipment, DVDs and other essentials.